The 1939 Penguin edition of "Two Vagabonds in Serbia and Montenegro" by Jan and Cora Gordon, a reprint of the 1916 "The Luck of Thirteen", has an informative little biographical introduction to the Gordons. Cora and Jan Gordon with guitar and laud. It reads as follows: "These two writers are unique in the general likeness of their abilities and temperaments. Cora J. Gordon compelled her father to allow her to study art by threatening to take up the stage, on which she had been offered a promising start. After a Slade training she took the L.R.A.M. examination in music. Returning to painting she went to Paris, and exhibited her work. 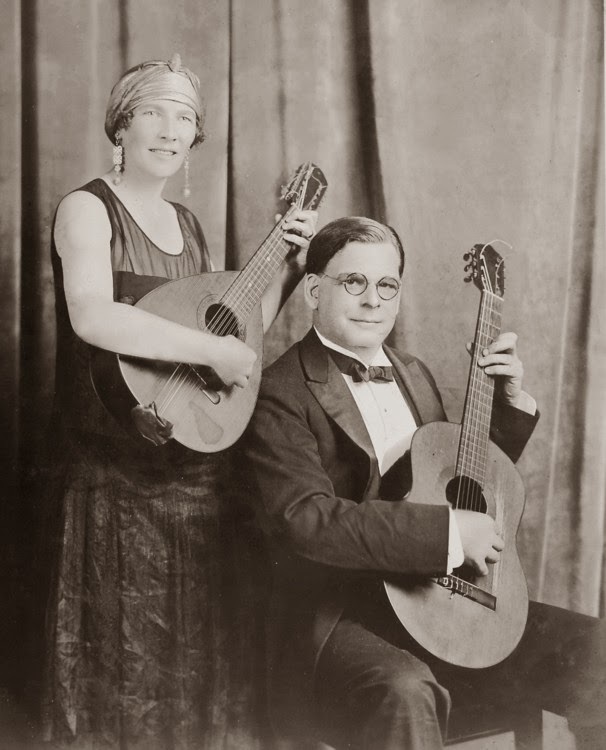 In 1909 she married Jan Gordon, ex-mining engineer, who also has exhibited in many important collections, and was an expert banjo player. 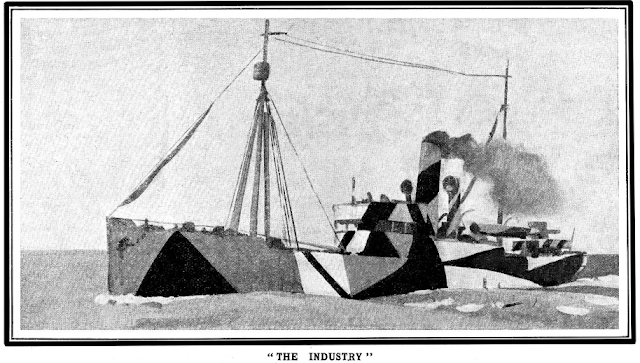 Subsequently Jan was a designer of naval camouflage and painted a number of pictures on naval medical work, some of which are in the War Museum and some in the Burroughs Wellcome Museum. 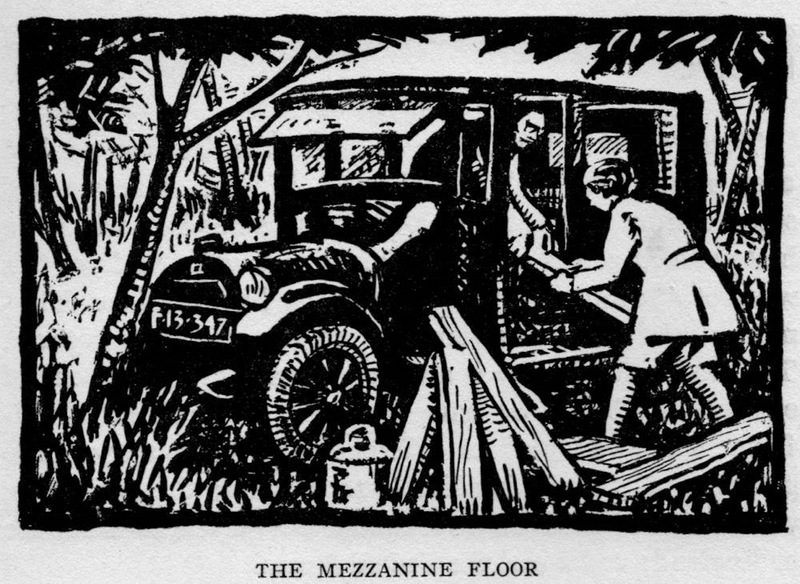 Together they wrote and illustrated twelve books of travel, while Jan, on his own, wrote six novels and biographies, three books of art criticism, and (under a pseudonym), three detective novels as well as numerous short stories." 1939 Penguin edition of "Two Vagabonds in Serbia and Montenegro"
The biographical notes continue with: "In the United States they made a lecture concert tour playing Spanish folk music on the laud and guitar; they have also broadcast both in America and England. Jan has acted in both films and on the stage in Paris and both have taken parts in Hollywood. Cora J. is an extensive lecturer on unconventional travel; Jan lectures on contemporary art, is a member of the Royal Society of British Artists, and art critic for the observer. They can both gossip, order food and lodgings in eight languages." 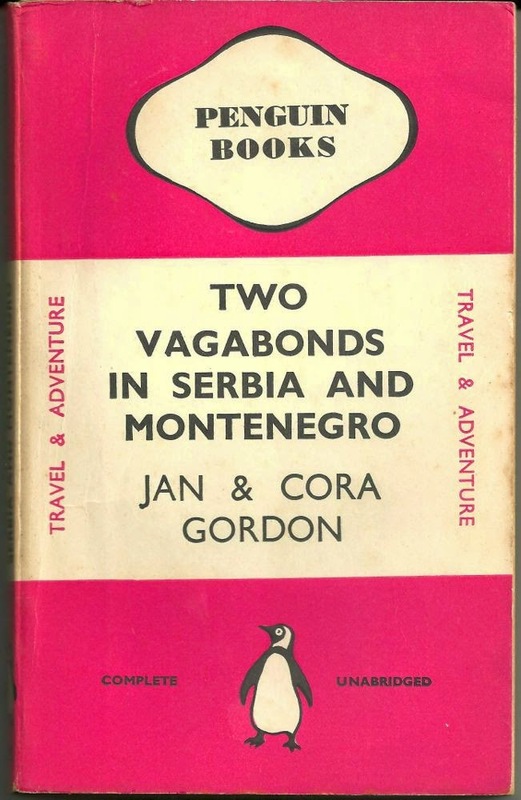 Duncan Smith has created an excellent website on the Penguin Cerise "Travel and Adventure" series of which this edition of "Two Vagabonds in Serbia and Montenegro" forms a part.